Counter Logic Gaming (CLG) is a North American esports organization. Founded in April 2010 by George "HotshotGG" Georgallidis, CLG is the oldest League of Legends team still active to this day. Counter Logic Gaming currently hosts their flagship team and a sister team Counter Logic Gaming Black, who they picked up following the North American Scouting Grounds. In the past they have also sponsored Counter Logic Gaming EU and two different North American squads under the name CLG Black. The organization also supports teams and players in Counter Strike: Global Offensive, Super Smash Bros, and Overwatch. Counter Logic Gaming was founded by HotshotGG on April 16, 2010. The initial roster included Lociero, Grandjudge, Chauster, Nolja, HotshotGG, Clever, Sabertiger, bigfatjiji, Lilballz, and Kobe24. Most of these players left the team shortly after its creation: Locicero left to focus on school; Grandjudge and Nolja were from Korea while Lilballz was from Taiwan and so they had difficulties attending tournaments; Clever wanted to play casually; and Sabertiger was recruited into the army. When the official roster was finally formed, it consisted of HotshotGG, Kobe24, bigfatjiji, Chauster, and Elementz. CLG found early success with their roster, winning the 2010 WCG Grand Finals and then the Newegg Winter Wanfest 2010 online tournament. After those two early victories, jungler Kobe24 decided to retire from professional gaming and left the team in January 2011; he would eventually go on to become a caster for Riot Games. The next month, Saintvicious joined the team, replacing Kobe. CLG was one of three North American teams to attend the Riot Season 1 Championship in Sweden in June 2011, along with Epik Gamer and Team SoloMid. They placed second in their group, behind TSM, and then fifth overall in the tournament. After the Season 1 Championship, CLG won several major tournaments in a row. First, they won in the online National ESL Premier League Season 1, and then they attended their second international LAN tournament: IEM Cologne. With Salce substituting for Chauster, the lineup included HotshotGG top, Saintvicious jungle, Salce mid, Bigfatlp AD carry, and Elementz support. CLG won their group 3-0 and then defeated Millenium and TSM in the bracket to win the tournament. With Chauster back but Voyboy substituting for bigfatlp, they also won MLG Raleigh in August, this time beating Epik Gamer in the finals. At IEM Guangzhou in October 2012, CLG's hot streak cooled off slightly, but they still finished in second place, losing to Team WE both in the group stage and in the finals. Immediately after Guangzhou, the team attended IPL3, in Atlantic City. There, they defeated A Picture of A Goose in the first round but then lost to Dignitas in the semifinals before beating TSM in the third-place match. One week later, CLG flew to New York to play in IEM New York; this time they took home fourth place after defeats to SK Gaming and Sypher in the playoffs. In November, CLG attempted to qualify for MLG Providence; however, in the qualifier they were intending to use a Lilac, but when he was unable to participate, they fielded Lapaka instead. Because Lapaka was officially on the roster of Absolute Legends for the event, CLG was disqualified and RFLX Gaming advanced to the top four and attended MLG Providence instead. In December 2011, CLG benched long-time support Elementz and moved Chauster to support; this made room for Doublelift to join the team from Epik Gamer. Elementz went on to play for Curse Gaming. In order to participate in the 2011 World Cyber Games, CLG put together a temporary roster including only Canadian players: Chaox and TheOddOne, AD carry and jungler of TSM, joined the team for the tournament; at the same time, Chauster and Reginald joined the other three members of TSM to form a one-off team that they called Chicks Dig Elo. CDE ended up winning the tournament, while CLG came in third. Returning to their standard lineup of HotshotGG, Saintvicious, bigfatlp, Doublelift, and Chauster, CLG participated in and won the online NESL Premier League Season 2 playoffs. Their next event wasn't until February 2012, when they played in the LoLPro.com Curse Invitational and came in second. In March, they attended their next LAN, the IEM World Championship in Hanover. They placed second in their group behind Dignitas and then lost in the semifinals to Moscow Five, the eventual winners of the tournament; they took home third place after a victory over against All authority. On March 12, 2012, CLG temporarily moved to a gaming house in South Korea in order to train and participate in Azubu The Champions Spring 2012. Placed in Group B, CLG entered playoffs but immediately lost to MiG Blaze, the eventual tournament winners, in the quarterfinals. While in Korea, CLG also competed in the online Leaguecraft ggClassic. They lost in the semifinals to 4Not.Fire and then forfeited their third-place match against JPak and Friends. They also briefly flew to Las Vegas (in the United States) to attend IPL 4 from April 6 to April 8. After being sent to the loser's bracket by Dignitas in the second round, they came back to play against TSM in the grand final, which they ultimately lost to place second overall. On April 25, moved back to North America. In May 2012, CLG was involved in a major roster swap between themselves, Dignitas, and Curse Gaming. 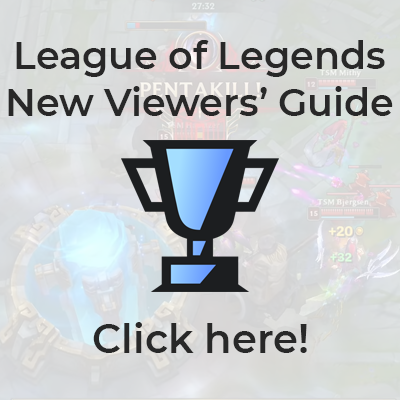 Saintvicious left CLG and joined Curse, while Curse jungler Crumbzz moved to Dignitas and switched to top lane, and CLG brought in Dignitas top laner Voyboy and moved HotshotGG from top lane to jungle. Additionally, the organization acquired a secondary roster consisting of Sycho Sid, LiNk, Zuna, Hoodstomp, and BloodWater. For more information about the history of that team, see CLG Black. The main CLG roster renamed itself to CLG Prime to avoid confusion. CLG returned to Korea to compete in Azubu The Champions Summer 2012 in July. Once again they placed second in their group, and once again they were eliminated in the quarterfinals, this time losing to Azubu Frost - who went on to win the tournament. After their elimination from the tournament, the team remained in Korea to continue to practice for the upcoming Season Two North American Regional Finals. There, they would take third place, qualifying for the Season 2 World Championship. CLG didn't advance out of their group at Worlds, losing to Invictus Gaming and Azubu Frost, beating only SK Gaming by using strategy that involved running three Teleports and a Promote. Infamously, Chauster commented in an interview that the team had prepared primarily strategies to be used if they got blue side in the coin toss, but all three of their group-stage coin tosses gave them purple side. After Worlds, Voyboy left the team, HotshotGG moved from jungle back to top lane, Chauster moved to the jungle, and former MiG Frost AD carry Locodoco joined the team to fill the open support role. CLG prime would attend the 2012 MLG Fall Championship in Dallas on November 2 through 4th. In the first round they faced the Korean powerhouse NaJin Sword, where they were routed in two lopsided matches. Falling to the losers bracket, CLG Prime would sweep Curse Gaming in round one, and then pick up a close 2-1 series against another NA team Dignitas. They would face their sister team CLG EU in Round 3. Unfortunately, they were outmatched as the European team eliminated them 2-1 from the tournament. CLG Prime would place 4th with $2,000 in winnings. On November 29, CLG would enter the IPL 5 tournament held in Las Vegas. In the group stages CLG Prime would dispatch the newly formed Team FeaR twice while dropping a game to CLG EU to advance. In the first round they would defeat Curse EU 2-1, and then move on to face FnaticRC. CLG Prime took the first game off Fnatic with sharp play from their Jiji's Twisted Fate, however the champion was quickly banned out and CLG Prime would lose the next two games. In the losers bracket CLG Prime would face Moscow 5, they would take the first game of the set, but then fell twice against the Russian team, finishing their run in the tournament. CLG Prime would place 5th-6th with $2,500 in prize money. CLG Prime outperformed most expectations of them at tournament, with a strong showing of Chauster as the new jungler, they also challenged the perception of Team Solo Mid as the strongest team in the NA scene. After the event, Locodoco expressed in an interview that "coming to America was a mistake", but added that it did not indicate he would be leaving the team. On December 4 however, CLG announced the departure of Locodoco. They would use Nhat Nguyen as temporary substitute in the coming MLG Prizefights. Into the first week of Season 3, on February 9, Bloodwater was announced to be the second substitute player of the team, but he left the team 4 days later. On February 27, 2013, CLG was participating in Riot Season 3 NA Championship Series Spring Season. After 10 weeks Round Robin with Team SoloMid, Team Dignitas, Team Vulcun, Team MRN, Curse Gaming, Good Game University and compLexity Gaming, CLG successfully qualified to Sping Season Playoffs. However, CLG was outplayed by Team Vulcun with 1-2 in Quarterfinals, placed 5th-6th with Team Dignitas. Also, CLG failed to qualify to Riot Season 3 NA Championship Series Summer Season and participated in Summer Promotion. In the Summer Promotion, CLG faced Azure Cats in the promotion match. Fortunately, CLG defeated Azure Cats 3-0, securing their spot in the Riot Season 3 NA Championship Series Summer Season. As the unsatisfactory result of LCS Spring Season and preparing for LCS Summer Season, HotshotGG decided to step down from top lane and acquired Nientonsoh to fill the position. Moreover, bigfatlp returned to the main roster as jungler while Aphromoo left and Chauster returned to support position. On July 24, 2013, CLG announced that MonteCristo would be joining CLG as a coach. The Summer LCS Season proved to rocky for the new CLG roster, spending most of the season competing to stay in middle of the pack, ending the season in 6th place with a 13-15 but able to make it into the playoffs. Their first game was against old time rivals TSM but they were unable to win a game, going 0-2, losing their chance to make it to the Season 3 World Championship. They went on to face Team Curse to compete for the 5th place spot to win a spot back for the Season 4 Spring LCS. They were able to come together and go 2-0 and win back the spot into the league. Chauster announce his retirement from competitive play. bigfatlp moves to sub position. CLG stated that they are currently trying out new players for jungle and support. On November 7 it was announced that Aphromoo and TrickZ would fill the support and jungler positions for CLG during IEM Season VIII - Cologne. On August 12, 2014, Riot announced that Counter Logic Gaming violated the LCS rules by account sharing during their bootcamp in Korea. Link, dexter, Doublelift and Aphromoo were fined $ 1,250 USD each as well as 2-year ban from OGN and KeSPA-owned tournaments. CLG was one of the fan-voted teams to IEM Cologne, along with Team Dignitas and Gambit Gaming. New jungler Xmithie was signed prior to the tournament but was unable to attend due to visa issues; the team played with Thinkcard instead and finished second, behind Gambit Gaming. On December 10, CLG was fined $10,000 by Riot after being found guilty of poaching Scarra from Dignitas. Additionally, Scarra would be prohibited from serving the position of being CLG's head coach for the first three weeks of the spring LCS, and CLG would have to find a different head coach to fill that role for that period of time. CLG and Doublelift were fined once again on January 6, 2015 after being found guilty of poaching ZionSpartan. CLG was fined $2,000 while Doublelift was fined $2,500. Furthermore was CLG restricted from fielding ZionSpartan as a player or coach for the first week of the 2015 LCS Spring Split. With the addition of Xmithie and ZionSpartan, CLG stormed to the top of the league's spring split, boasting a 7-1 start and holding either first or second place in the league at the end of every week until the last day of the split. Despite setting a team record regular season winrate at 12-6, CLG lost a second-place tiebreaker with Cloud9 and failed to receive a playoff bye. In the quarterfinals against Team Liquid, CLG repeated their last season's performance with another first-round 0-3 series loss, finishing the season tied for fifth with Gravity. Prior to the start of the summer split, CLG announced that they would move to a six-man roster with two mid laners who would both start in games: Pobelter and Huhi joined the team, while Link left. Despite this announcement, Pobelter would play every game in the summer split. They also added a new head coach, Chris "Blurred Limes" Ehrenreich, and moved analyst Zikz to Strategic Coach. Echoing their spring split performance, CLG started the summer split strong, in first place at the end of each of the first four weeks, but then lost four consecutive games and fell to fifth. This time, however, they rebounded and ended the season in second at 13-5 after a lost tiebreaker with first place Team Liquid. They received a bye in the first round of the playoffs and then swept both Team Impulse and Team SoloMid 3-0 to win their first LAN event since MLG Raleigh in 2011 and received North America's top seed to the World Championship. Shortly after their qualification, the team announced that Huhi would be substituting for them in the jungle, due to "unresolvable VISA issues" with Xmithie; however, two weeks later the situation was resolved with some help from members of the community who reached out to the team on reddit. Despite playing with Xmithie and having a relatively easy group draw with KOO Tigers, Flash Wolves, and paiN Gaming, CLG didn't advance from their Worlds group, ending with a 2-4 record including a loss to paiN. Despite the fact that Huhi hadn't gotten to play a single game live with the team during the 2015 season, in October CLG announced that he would replace Pobelter for the 2016 season as starting mid laner. Doublelift also left the team, after over four years of playing for CLG. He was replaced by Stixxay, originally a substitute at IEM San Jose in November 2015, but eventually a starting member for the 2016 season. At San Jose, CLG defeated Unicorns of Love and Jin Air before losing to Origen in the finals. Their performance earned them a seed into IEM Katowice, which they attended after the seventh week of the LCS. However, despite being in a strong position domestically, in second place behind only the almost-undefeated Immortals (to whom CLG had handed their only loss of the season the week before), CLG were eliminated immediately from Katowice, losing first to SK Telecom T1 and then to Fnatic. CLG entered the LCS playoffs in second place, still behind Immortals, and still the only team to have beaten Immortals in the regular season. They won their semifinal series against Team Liquid in five games, winning the last game with a double teleport play to catch out Piglet and close out a win. Despite seeding expectations, their finals match was against TSM, who had 3-0'd Immortals the week before. This series also went to five games, and CLG once again won, qualifying for the Mid-Season Invitational. While individually their players were not as strong as TSM's, CLG's win over them was attributed to team coordination; coach Zikz described the team by saying, "None of us are selfish, at all. We only focus on teamwork," in a post-finals interview. CLG were seen by some as too weak individually to compete at MSI and by others as having a chance based on their their teamwork. The team shattered expectations in two ways - first, by going 1-1 with both SK Telecom T1 and Royal Never Give Up, the two favorites; and second, by losing a game to the IWCI team SuperMassive eSports. Their final group stage record was 7-3, behind only the Chinese RNG, and they won their semifinal match against the Flash Wolves 3-1 before losing to the revitalized SK Telecom 3-0 in the finals. Aphromoo in particular received attention for setting the support meta of the tournament, playing Sona in the semifinals which led to a Nami pick from SKT's Wolf in the finals. Stixxay also cemented his position as a strong rookie player with several strong performances. With their second-place finish, CLG set two new records for a North American team: they were the first ever to beat SKT, and the first to advance to the finals of a Riot-sponsored international tournament. Returning to North America for the Summer Split, CLG were expected to be at the top of the league after their MSI performance. However, not only did they fail to achieve that, but they weren't even in the top half of the standings until week 6. From there, they climbed to a fourth place regular season finish. In the playoffs, CLG first faced off against Team Liquid, whom they beat 3-1, before falling to TSM 3-0 in the semifinals. Crucially, one of Huhi's signature mid lane champions Aurelion Sol was found to have a bug partway through their first game, and the game was remade with Aurelion Sol disabled for the rest of the playoffs (though it was generally accepted that TSM would have won regardless). CLG lost the third-place to Immortals but automatically qualified for the World Championship based on Championship Points due to TSM's finals win over Cloud9. CLG were seeded into Group A at Worlds, alongside the ROX Tigers, G2 Esports, and wildcard Albus NoX Luna. Going into the group, CLG and G2 were seen as contenders for the second seed, while Tigers and Albus NoX were expected to finish first and last, respectively. Instead, CLG dropped both of their games to the wildcard team, and ANX skyrocketed to a second-place group stage finish while G2 collapsed into last place; CLG ended their Worlds run in third with a 3-3 record. Transitioning into the spring split of the 2017 LCS season, CLG was the only North American team to not make any changes to its roster. They were inconsistent to begin the split, fluctuating between 5th and 7th place over the first half of the season before stabilizing with a 2-0 week 5. CLG remained in the playoffs after that, and a 3-1 record down the stretch put them in fourth behind TSM, Cloud9 and a much improved Phoenix1. In the playoffs, CLG faced off against 5th seed FlyQuest. Expected to win due to FlyQuest's late season struggles, CLG seemed to prove that prediction right by winning the first two games. However, FlyQuest came back to win the next two. With a game 5 draft consisting mainly of comfort picks on both sides, including Evelynn for Moon and Kalista for Stixxay, CLG seemed likely to win simply by outscaling FlyQuest. However, some questionable aggressive calls around Baron would allow FlyQuest to complete the reverse sweep, ending CLG's season. In the mideason, CLG swapped junglers with Immortals, sending Xmithie, one of their longest tenured players, to the team for Dardoch. This change seemed to work out for both sides, as CLG began the season in a three way race for first with Immortals and TSM. At the close of week 7, CLG was 10-4, tied with TSM for second, one game behind Immortals. However, before the start of week 8, the team announced that Dardoch would be leaving for Team Liquid due to irreconcilable conflicts with his teammates, and would be replaced by rookie OmarGod, who had just spent his first professional season with CLG Academy in the NACS. CLG continued to play fairly well over the final two weeks, going 2-2, but fell into 3rd place due to TSM and Immortals posting better records, meaning they would miss out on a playoff bye. In the quarterfinals, CLG matched up against 6th place Team EnVyUs, who had lost their last four games and were considered the weakest playoff team. After CLG won the first game decisively, EnVyUs shocked everyone by taking the next two games, capitalizing on OmarGod's inexperience and sudden subpar play by the CLG bottom lane. CLG's veteran leadership won out in the end, and they managed to come back to take the series, but the weakened team was immediately swept by Immortals in the semi-finals. Sent to the third place match against Team Dignitas, CLG managed to eke out a shred of hope for themselves by summarily sweeping them, in part due to them catching Dignitas jungler Shrimp out in the jungle in all three games. Their third place finish gave CLG the second seed in the Regional Finals. There, they defeated FlyQuest 3-1, setting up a match with Cloud9 to make Worlds. After dropping the first two games, CLG managed to win the third and make it a series, but dropped the fourth, ending their 2017 season. In the offseason, OmarGod returned to CLG Academy to play in the newly formed NA Academy League and Aphromoo left the team after four years to join the newly formed 100 Thieves. Replacing them would be former TSM support Biofrost and jungler Reignover, who was coming off a subpar season with Team Liquid. Expectations were high for this new roster, due to Biofrost's three consecutive split championships with TSM and the hope that Reignover would return to his old form and replicate his previous successful tenures with Immortals and Fnatic. However, the team was unable to live up to expectations, which resulted in an inconsistent Spring Split. A 2-0 week 3 made it seem as though the team had turned a corner after a poor start, but they proceeded to lose their next six games to fall to a tie for dead last going into week 7. As their playoff hopes diminished, CLG seemed to have turned a corner and experienced a resurgence, winning their next four games straight. However, they were not able to finish strongly, being eliminated from playoff contention by TSM and Team Liquid in the final week. This marked the first time in franchise history that CLG had failed to make playoffs. CLG elected to run the same roster from Spring for the 2018 Summer Split, despite the disappointing performance and poor finish. The team experienced more of the same inconsistencies they experienced in Spring, resulting in another sub-optimal split and placement. They placed generally evenly through the first four weeks, with an inspiring 2-0 week four, with outstanding performances from the bot lane of Stixxay and Biofrost, earning them spots on the OP 5 for that week. At this point, CLG was thought of as a lock for playoffs with how strong they appeared. However, they once again failed to live up to expectations, going four weeks without winning a single game. On August 7th, following the organization's sixth consecutive loss, long-time head coach Zikz was fired after a four-year tenure with the team. The move was met with a wave of criticism both for the timing of the move as well as the move itself of departing with one of the greatest and most decorated coaches in NALCS history. This was thought of to be the first sign of the team transitioning into a rebuilding phase. The team was officially eliminated from playoff contention for the 2018 Summer Split by FlyQuest in week 8. Because it was then impossible for them to make playoffs, CLG decided to substitute academy jungler Wiggily in for Reignover and academy top laner FallenBandit in for Darshan going into week 9, in order to observe how they played at the LCS level. The move proved successful, as Wiggily played exceptionally well with huhi in their first win since week 4 against Clutch Gaming. CLG then subbed Darshan back in for FallenBandit for their final game of the split to see how Wiggily would play with the entire starting roster, and Wiggily only managed to improve. CLG decisively won their final game of the Summer Split against Golden Guardians for a 2-0 week off the back of Wiggily, who also received his first career Player of the Game award in his second game as a pro. Although they finished the split with another 7-11 record, spirits were high going into the offseason, as they seemed to have found their franchise jungler in Wiggily. January 26, Moon joins from CLG Academy. March 9, Auto rejoins from CLG Academy. April 4, Adrian Riven joins as a streamer. January 11, Yassuo joins as a streamer. January 13, Jeff Shaw joins as Data Analyst. bchenN leaves position as Director of Operations. July 16, huhi becomes a North American resident. August 7, Goldman (previously Plop) moves to interim head coach. Zikz leaves. August 18, Wiggily joins from CLG Academy. FallenBandit rejoins from CLG Academy. October 29, Reignover's contract is extended through 2019. November 1, Weldon rejoins as head coach. November 5, Biofrost's contract is extended through 2020. December 4, Irean joins as strategic coach. December 14, Goldman leaves coaching role. January 5, fallenbandit, OmarGod, Tuesday, Zag, and Fill join as subs. Fragnat1c leaves. January 31, Grievance joins as player development coach. February 23, BillyBoss and Joey join as subs. fallenbandit, OmarGod, Tuesday, Zag, and Fill leave. March 17, Plop moves to assistant coach. March 27, fallenbandit, OmarGod, and Zag rejoin as subs. May 12, Dardoch joins. Xmithie leaves. May 19, Grievance leaves player development coaching position. May 26, HotshotGG becomes a sub. fallenbandit, OmarGod, and Zag leave. June 7, 1deag joins as a sub. HotshotGG is no longer a sub. June 19, Prymari joins as an analyst. July 25, OmarGod rejoins. Dardoch leaves. July 27, Joey and 1deag leave. July 31, The Madison Square Garden Company acquires controlling stake in Counter Logic Gaming. September 20, Nick Allen will join as Chief Operating Officer of CLG and Vice President of MSG Esports on October 2. November 26, Reignover and Biofrost join. OmarGod and aphromoo leave. December 12, Mylixia leaves position as CEO. January 6, Stixxay is announced as starting AD carry for 2016. January 7, KeNNy u joins as a sub. Thinkcard and bigfatlp leave. January 20, KeNNy u leaves. February 17, YoonA joins as a sub. February 25, Michael Schwartz joins as player development coach. April 17, 1st Place at 2016 NA LCS Spring Playoffs. May 15, 2nd Place at 2016 Mid-Season Invitational. May (approx. ), HotshotGG is no longer a sub. June 1, Fragnat1c joins as a sub. September (approx. ), Trinitiii joins as Director of Esports. November 30, CLG Black is reformed. April 17, scarra steps down as head coach. April 30, HyperX sponsors Counter Logic Gaming. May 13, Pobelter and Huhi join while Link leaves. May 28, Chris "Blurred Limes" Ehrenreich joins as the Head Coach. Tony "Zikz" Gray becomes the Strategic Coach. August 6, Devin "Mylixia" Nash joins as CEO. August 16, "Plop904" is announced as an analyst. August 23, 1st Place at the 2015 NA LCS Summer Playoffs. September 11, Huhi will replace Xmithie in the jungle for the 2015 Season World Championship. September 25, Visa situation is resolved. Xmithie will play in the jungle for the 2015 Season World Championship. October 23, Huhi is announced as starting mid laner. Pobelter becomes a substitute. October 28, Blurred Limes is released as head coach. October 31, Doublelift is released. November 11, Zikzlol (now Zikz) becomes head coach. November 20, Stixxay announced as starting AD carry for IEM Season X - San Jose. December 22, 2nd place at IEM Season X - San Jose. April 15, CLG and Azubu renew their partnership for 2014. April 23, Nien steps down from starting role and becomes a substitute. April 30, Link is traded to Cloud9 for All Star Paris 2014. May 20, Link is traded back. June 1, CLG and Azubu are no longer partners. June 2, Twitch and Cellucor partner with CLG. August 22, hi im gosu joins as a sub. September 5, MonteCristo steps down as head coach. October 31, scarra joins as Head Coach. November 7, ZionSpartan joins while Seraph is not re-signed. January 15, bigfatlp steps down from starting roster to a substitute position; LiNk takes starting mid lane role. January 16, AZUBU TV sponsors Counter Logic Gaming. February 9, BloodWater joins as the substitute. May 14, iBUYPOWER sponsors Counter Logic Gaming. May 26, Nientonsoh joins as new starting Top lane, Chauster moves to Support, bigfatlp moves to starting Jungle, HotshotGG moves to substitute/Coaching role, and Aphromoo leaves. July 3, NZXT sponsors Counter Logic Gaming. July 24, MonteCristo officially confirmed as coach. August 5, LolClass sponsors Counter Logic Gaming. October 23, Chauster retires and bigfatlp becomes a substitute. March 12, moves to South Korea to participate in Azubu The Champions Spring 2012. April 25, moves back to North America after being knocked out of the Azubu The Champions Spring 2012. May, ELOBUFF sponsors Counter Logic Gaming. May 21, Counter Logic Gaming renames to Counter Logic Gaming Prime. June 14, XMG sponsors Counter Logic Gaming. July 2, CLG appoints new CEO, Helen “RealMomGG” Georgallidis. December 28, LiNk and Aphromoo join. Helen "RealMomGG" Georgallidis and Robert "CyberBob" Del Papa resign. Kelby "sayocean" May becomes General Manager. Counter Logic Gaming Prime renames to Counter Logic Gaming. GGWP Apparel sponsors Counter Logic Gaming. July 5, Razer sponsors Counter Logic Gaming. December, Reginald and Dan Dinh leave. hi im gosu 4Sub/Bot Team SoloMid 2014-08-222014-08-22 2015-06-112015-06-?? Nientonsoh Zach Malhas 1Sub/Top Team Fusion 2013-05-262013-05-26 2014-10-112014-10-?? NydusHerMain Philip Sohn 16Substitute The Walking Zed 2013-08-022013-08-02 2013-11-112013-??-?? Balls An Le 16Substitute Cloud9 2013-11-112013-??-?? 2013-05-112013-05-?? Locodoco Choi Yoon-seop (최윤섭) 5Support NaJin Shield 2012-10-222012-10-22 2012-12-112012-12-?? Doublelift Yiliang Peng 16Substitute Epik Gamer 2011-03-112011-03-?? 2011-05-112011-05-?? Kobe24 Sam Hartman-Kenzler 2Jungler Caster 2010-04-162010-04-16 2011-01-112011-01-?? Reginald Andy Dinh 3Mid Laner Team SoloMid 2010-11-112010-11-?? 2010-12-112010-12-?? Dan Dinh Dan Dinh 70Jungle/AD Epik Gamer 2010-11-112010-11-?? 2010-12-112010-12-?? Lilballz Sung "Alex" Kuan-Po (宋寬柏) 2Jungler For The Win 2010-04-112010-04-?? 2010-07-112010-07-?? Nolja Lee Hyun-jin (이현진) 2Jungler Team OP 2010-04-112010-04-?? 2010-07-112010-07-?? Episode 3: The "CLG Curse"
January 19, CLG: Something to Prove - "Spring 2018 Intro"
↑ Introducing CLG's Second NA Team: CLG Black"clgaming.net"
This page was last edited on 17 April 2019, at 12:01.